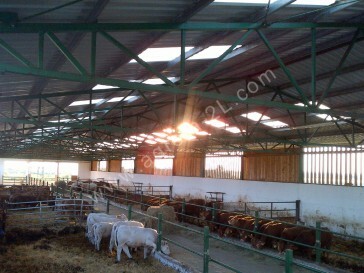 Our beef Cow-Calf farm is constantly keeping limousin and charolais mothercows. The cows are giving birth every year once. In general the half of the born calves are male and the rest half of the calves are female. 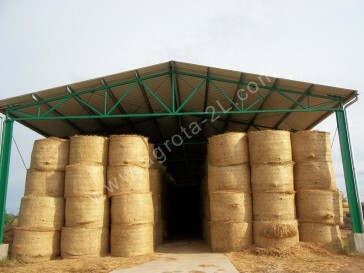 The cows and heifers in winter time are in the farm, inside the barns and stables and they get feed, what was produced in the summer and was stored in the farm. In summer time the cows and heifers are going into pasture grazing area, where they can eat grass, which used to be the most simple and cost effective way of beef cow keeping, if there is sufficient rain and grass. The young calves are separated from their mothers usually between 6 and 8 months of age when they reach the 250 kgs of weight. Until this age as feed usually they drink only the milk of their mother, and they also get some little supplementary feed. After separation the bull calves stay in the stable and they get concentrated feed until they reach the age of selling, this is usually around 18 – 20 months of age. After separation the heifer calves are kept in the same way as the cows, and some of them will replace the very old unproductive cows in the cow herd, but the rest of the heifers will be sold as breeding heifers for other farmers. 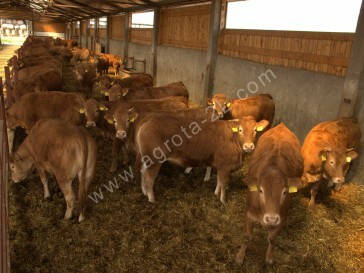 Animals total number in the farm is around 600-800 heads, the cattle are Limousin and Charolais breed, the animals are registered in the Herd Book. 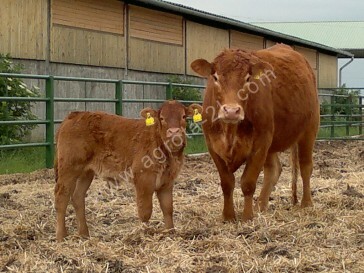 Cows number: approximate 200 heads, Heifers: approximate 200 heads from the birth till pregnant heifers. 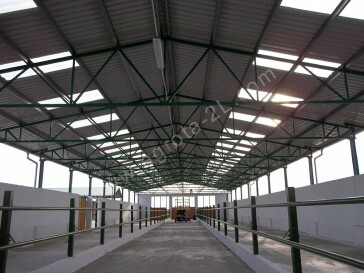 We use artifical and natural insemination, first in the age between 18-22 months and after in general every year once, Bulls: The farm is selling a part of the bulls at the age of 12 – 18 months for breeding, the rest of the bulls will be sold at the age of 18 – 20 months for slaughtering.